For those of you reading this who are fans of anime in general (which, to be frank, is probably most of you), you’re probably quite familiar with the vast array of cheek decorations you’re likely to encounter in the Japanimation1 industry. Whether we’re talking about swirls a la Tensai Bakabon2 or the rosy pink cheeks of Chibi Maruko-chan‘s titular Maruko-chan,3 it seems like there’s a lot going on with characters and their cheeks. 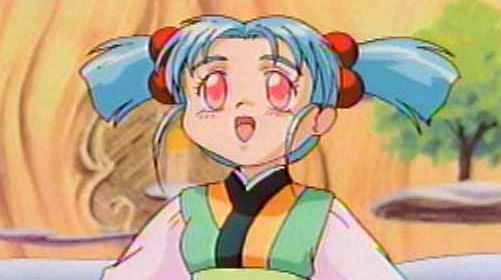 Back in the 90s, the vertical lines under the eyes that we’re taking a look at today were something of an anime staple at the time — and can probably even be found today, if you look hard enough. In Japanese, these lines are referred to as チョンチョン (chon chon) marks,4 a word used to refer to the two lines of a double quotation mark (“) or the 濁点 (dakuten; voicing mark) (゛) mark used in Japanese kana.5 While it isn’t necessarily important to know what Japanese anime fans refer to these marks as, it does give us a helping hand on what to search for in pursuit of our answer. Now that we know what they’re called, why did animators put them there? Usagi may not care about the answer, but I do! While the childlike pinkness has faded away, there’s still a subtle hue to these young girls’ cheeks that you generally don’t see in adults. I imagine the reason for using lines as opposed to a subtle shade of pink is also a practical one: back in the days when anime was produced by painting in animation cels by hand, it would be quite a hassle to get that subtle shade of pink into each and every one. If a few lines get that message across just as well, there’s no reason to go the hard route! Another important point that this conveys is that the relevant characters — the Sailor Soldiers, in our case — are also not wearing makeup. And yes, my dedicated-if-confrontational reader,7 that is exactly what I mean to say. 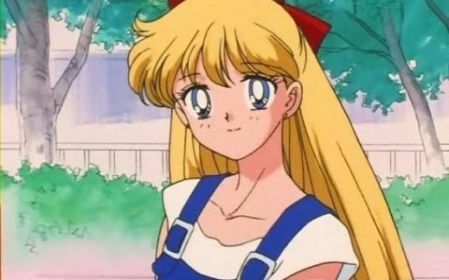 Though the concept of makeup is an incredibly important part of the idea behind Sailor Moon, at least in the very beginning of the series it appears that Sailor Moon isn’t actually wearing any herself. 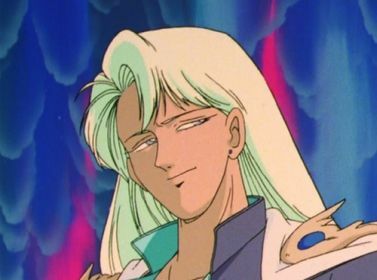 Though this is by no means flawless, definitive proof, I’m sure that Kunzite would at least be able to come up with a more impressive insult about the quality of their makeup skills if they were wearing makeup. You have to give him that much credit. Also, I think the transformation sequences seem to support the fact that the Sailor Soldiers don’t really change much in terms of makeup other than lipstick later on. In short, the lines that appear on their cheeks are used to express youthfulness to the viewer, which is why you’ll rarely see these lines appear on older women (though of course there are exceptions to every rule). Whatever the reason for why they decided to do it that way, I think it was definitely a design element that happened to be popular among animators back in the 90s. You can see a similar phenomenon of animation fads with the “glossy” style hair that caught light at all sorts of absurd angles in the early- to mid-2000s, and then more recently the trend in anime of adding pink hues to the cheeks of most female characters. As a final closing note, this was a question that came to me via Twitter. 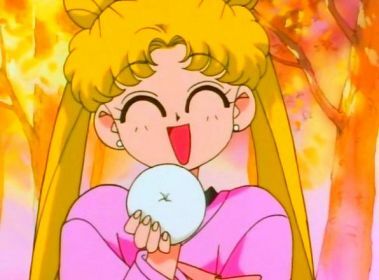 I’m always open to questions, article proposals, or anything at all, so if there’s something in the Sailor Moon universe you’d like to know more about, I’d love to hear about it! 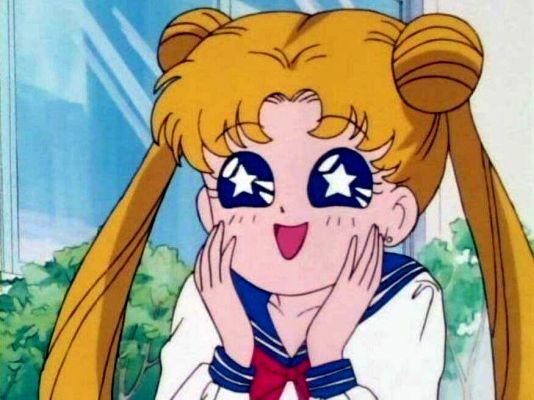 ← How Did Sailor Moon’s Producer Compare the Inner and Outer Senshi? But why do Ikuko mama and Haruna-sensei also have them? That’s why I originally stopped writing this article 2 years ago until someone asked. As for why Haruna and Ikuko have the marks too? I mean, frankly Haruna still isn’t that old — should be in her 20s. So odd, but still not totally out. She’s also depicted as pretty childish. What is your idea about sailor retirement? O.k., the silver crystal slows down aging, but even that means Mercury and Co. will be Grandma Mercury one day and die. Or will they stay young till you switch off the life switch? And then? Will they do a Dalai Lama type of rebirth thingie? Or do they a emperor thingie and kind of give their power to a next generation as Chibi Moon may imply? Any thoughts would be highly interesting. Thank you for this article! As and artist I’m always interested in visual aspects of the series (although I’ve never drawn in “anime style”). I thought those marks have something to do with animes being ecranizations of mangas and mangas are black and white and to show blushing you have to crosshatch. And somehow it translated into animation. This is one of the things that snuck into my “”art style” and I use them often. It makes the characters look cuter. That´s the main point for me. One of the… most apparent things that I noticed in manga is that (at least in Infinity Arc) Sailor Saturn is drawn without them. (Hotaru has them, though. Even the rest of the Outers do, from time to time.) She is dangerous; there is no cuteness in this form, at least it´s not to be emphasized, so the “cutie marks” are left out. Blackheads are black. Teenagers get blackheads.